I really want to be able to have dessert, even when I am trying to eat healthy. It doesn’t have to be ooey gooey, but it does have to look good and taste really good. 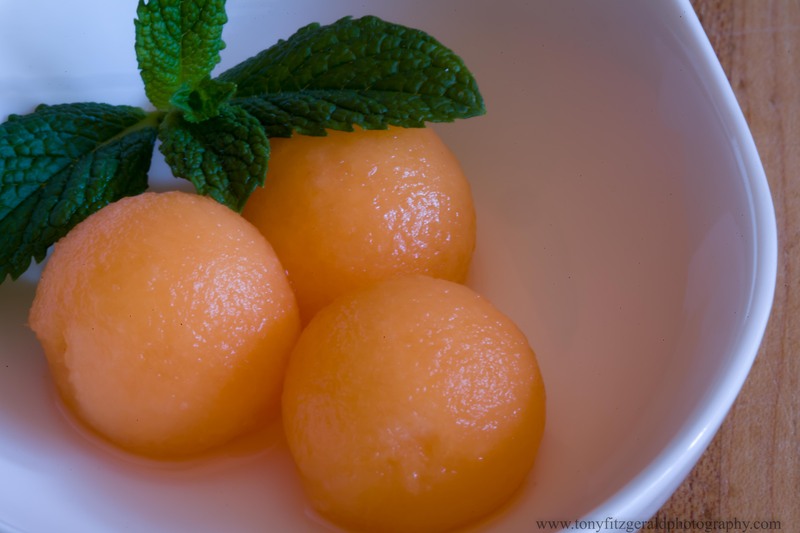 These melon balls with just a touch of mint simple syrup were elegant and delicious. A little mint from the herb garden made the syrup easy, and the cantaloupe from the farmer’s market were fantastic. Proving that a dessert doesn’t have to have a ton of calories to be a hit. PHOTOS ARE AVAILABLE ON OUR WEBSITE FOR IMMEDIATE DOWNLOAD COMMERCIAL USE.